Можно ли vulkan казино на свой гаджет игровые виртуальные площадки это самая настоящая находка . wow raid service https://worldofboosting.com/raids/. Three Rivers Wingshooting is one of Maine's finest pheasant and quail hunting preserves. We also offer other Maine game hunts such as deer, moose and bear. Let our registered Maine Maine Guide take you on your Maine adventure. About The Guide: Al Estes, Licensed Maine Guide At Three Rivers Wingshooting . Three Rivers Wingshooting offers pheasant and quail hunting, along with other Maine game hunts. Let our registered Maine Maine Guide take you on your Maine adventure. Big Gun Trophy Hunts Start Here: Trophy White Tail Deer Hunting,Three Rivers Wing Shoot, Bear, Moose In Maine. Let our registered Maine Maine Guide take you on your Maine adventure. 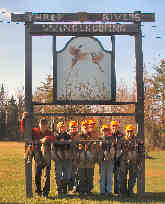 Three Rivers Wingshooting offers pheasant and quail hunting, along with other Maine game hunts. Let our registered Maine Maine Guide take you on your Maine adventure. Three Rivers Wingshooting also will take you bass fishing!! Let our registered Maine Maine Guide take you on your Maine adventure. Three Rivers Wingshooting Links. Let our registered Maine Maine Guide take you on your Maine adventure. Three Rivers Wingshooting Photo Gallery. Let our registered Maine Maine Guide take you on your Maine adventure.